Research is the answer: The question is up to you. 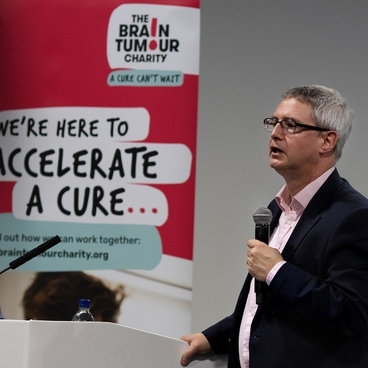 Improving access to clinical trials and the importance of supporting everyone affected by a brain tumour diagnosis were just some of the areas discussed at our second Ask the Researcher event on 26 February 2019, hosted by our Chair of Trustees, Jack Morris. The evening brought together members of our community, including those personally affected, students, medical professionals and researchers. 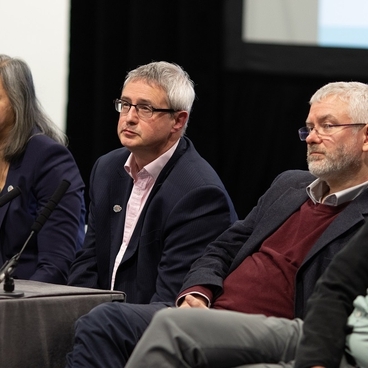 And gave them the chance to hear about latest developments in the field, as well as put their questions to some of the world's leading researchers in the fight against brain tumours. All of the researchers that joined us on the night are part of our Scientific Advisory Board (SAB) and provide their guidance and expertise to ensure we only fund the very best research out there. The talks were opened by Professor Richard Gilbertson, Director of the Cambridge Cancer Centre at Cambridge University, who provided an update on the progress made with the Tessa Jowell Brain Cancer Mission. 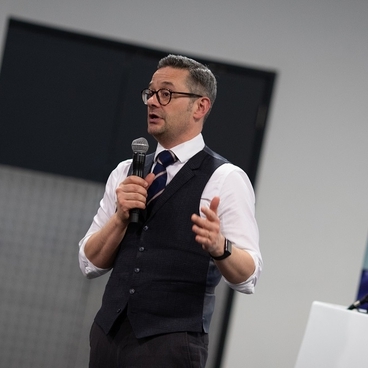 Following him was, Professor Colin Watts, Professor of Neurosurgery at the Queen Elizabeth Hospital Birmingham, who talked about the newly announced adaptive platform trial for glioma patients, The Tessa Jowell BRAIN-MATRIX. And the final speaker was Dr Susan Chang, Director of Neuro-Oncology at University of California, San Francisco, who shared ways in which quality of life issues faced by patients and their families can be monitored during clinical trials. Professor Richard Gilbertson is one of the world's leading experts in childhood brain tumours. He's been working in paediatric oncology as both a clinician and a researcher for almost 25 years. Director of the Cambridge Cancer Centre at Cambridge University, Professor Gilbertson is now also Chair of the Tessa Jowell Brain Cancer Mission and will be speaking about the progress that's been made so far and goals moving forward. Dr Susan Chang is Director of Neuro-Oncology at University of California, San Francisco. Her research expertise are in the design of clinical trials, and development of novel therapies and imaging biomarkers for brain tumours. Dr Chang also has a strong interest in quality of life issues faced by patients with brain tumours and their families, and will be talking about ways this can be better monitored during clinical trials. Professor Colin Watts is Professor of Neurosurgery at the Queen Elizabeth Hospital Birmingham. He's also Chair of the University of Birmingham's newly established Brain Cancer Program. Professor Watts' research focuses on improving the treatment and survival of patients with gliomas, including glioblastoma. Professor Watts is now the lead researcher on the Tessa Jowell BRAIN MATRIX trial and will tell you all about this new, innovative trial. The evening concluded with a Q&A session between the audience and researchers, which generated a great deal of conversation, and included topics such as; the ketogenic diet and how allied healthcare professionals can worker closer with clinicians. All of the questions unanswered on the night and following the event have been put to and answered by our research team, Scientific Advisory Board and our information and support team. 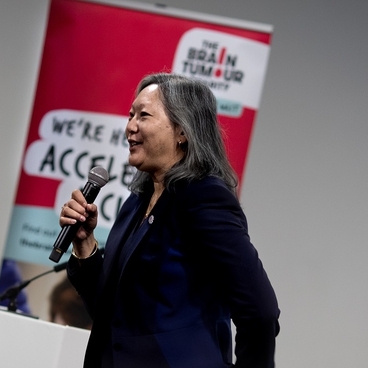 It’s wonderful that The Brain Tumour Charity has been able to host an evening like this, where you have the interaction with the scientists and get to learn about all the efforts happening on a national level to raise awareness of research into brain tumours and care of patients with brain tumours. Watch the videos from our Ask The Researcher event here!